Qualifications: Fully qualified beauty therapist. Also trained in Electrolysis, Advanced Electrolysis, Sienna X Spray Tans, Bio-sculpture Nails, Shellac, Nouveau Eyelash Extensions and Guinot Facials. Specialism: Intimate waxing such as Brazilians and Hollywoods, Electrolyisis and Guinot Facials. 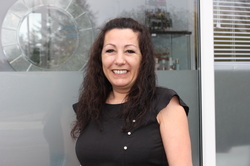 Industry Background: Ayesha and Emerald Beauty Salons in Maidstone and former proprietor of the Nail Emporium in Maidstone. Specialism: Acrylic and Fibre-Glass Nails. Qualifications: NVQ Level 2 & 3 in Beauty Therapy with additional qualifications in Shellac gel nails, Microdermabrasion, spray tanning, aromatherapy massage and hot stone therapy. 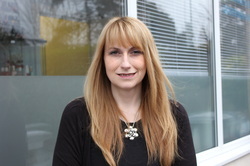 Industry Background: 4 1/2 years at The Fig Tree Spa in Lenham. Specialism: Shellac gel nails, microdermabrasion, swedish/aromatherapy massage and hot stone therapy.